Thanks to Nickelodeon for providing me with product in exchange for my honest review. All thoughts are my own. This post may contain affiliate links. Hold onto your diapers! Tommy, Phil. 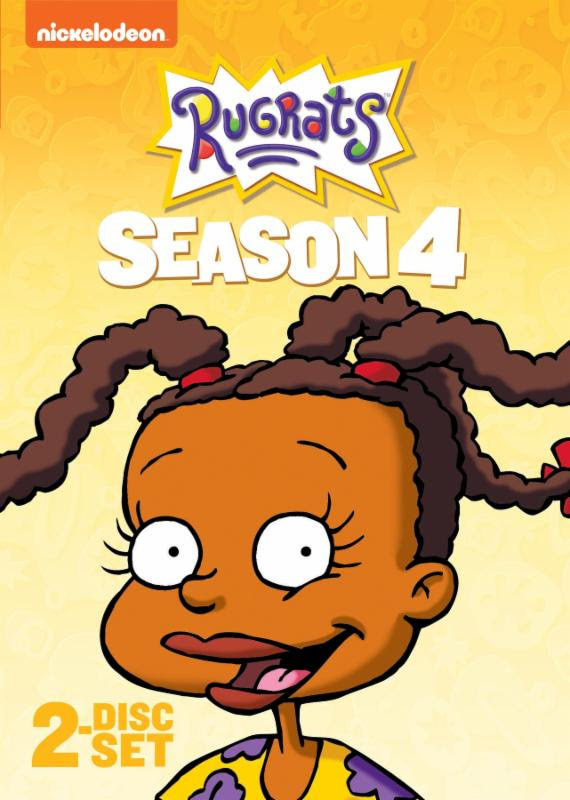 Lil, and Chuckie are back on Nickelodeon DVD in RUGRATS Seasons 3 & 4! The babies and their trusty sidekick Spike roll back onto TVs across the globe in RUGRATS- Seasons 3 & 4 on DVD. I loved watching these little guys when I was growing up. In fact, my sister and I looked forward to new episodes of RUGRATS and DOUG every weekend on Nickelodeon. Seems like a million years ago! Now my own 7-year-old loves the RUGRATS, and can't wait to see what kind of trouble they'll get into next! 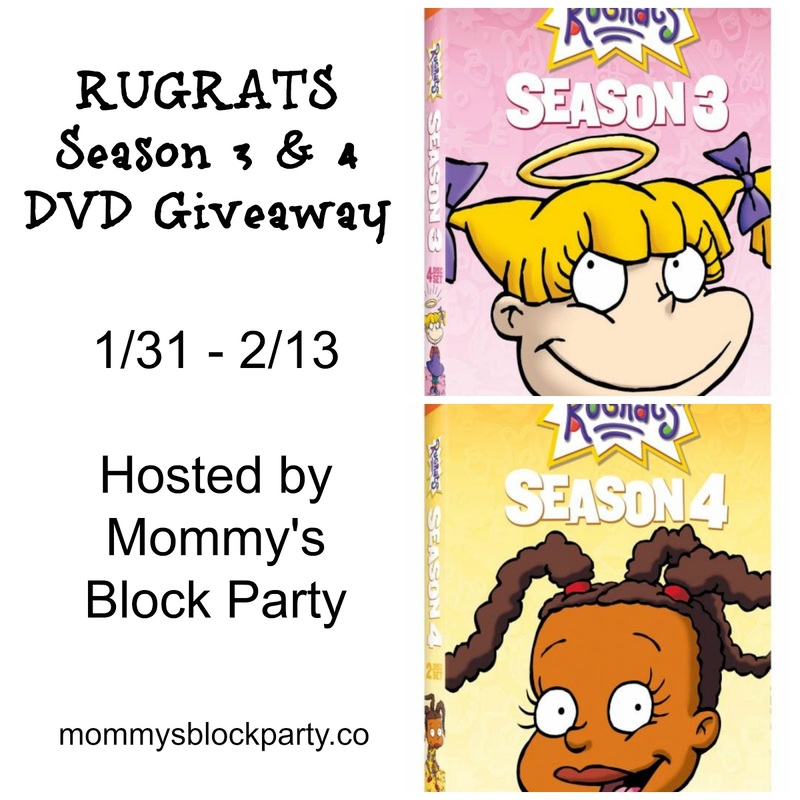 NEW YORK - January 19, 2018 - Following last year's release of the first two seasons of Rugrats on DVD, fans will love the next set of baby adventures with Rugrats: Season Three and Rugrats: Season Four each available on DVD February 6, 2018. 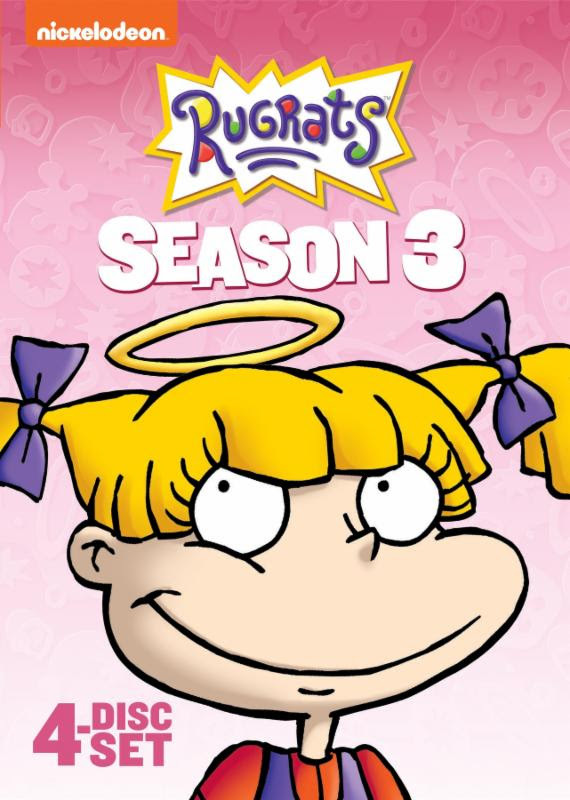 Rugrats: Season Three contains all 52 episodes from the show's third season and features classic episodes like "Naked Tommy" and "Angelica Breaks a Leg." Viewers will have a blast as they join Tommy, Chuckie and the gang as they grab a screwdriver, break out of the playpen and embark on over ten hours of grand adventures to the moon, north pole and even to Chuckie's first haircut! 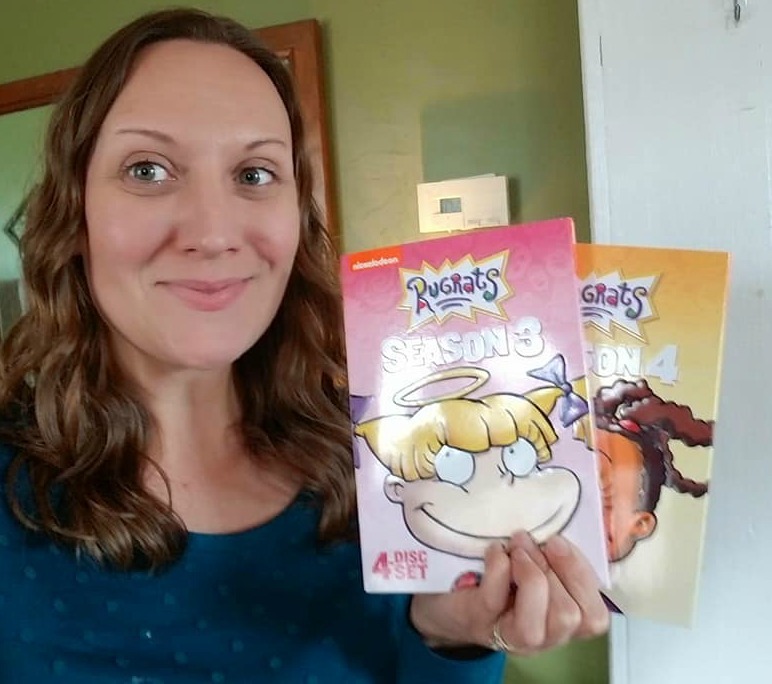 Rugrats: Season Four picks up right where season three leaves off and contains over six hours and two discs of adorable adventures from season four. Fans won't want to miss the chance to relive the classic Rugrats family vacation, meet Spike's babies or laugh along as Phil and Chuckie discover the joys of dresses! Produced by Nickelodeon Home Entertainment and distributed by Paramount Home Media Distribution, Rugrats: Season Three and Rugrats: Season Four will be available on DVD February 6, 2018, for the suggested retail price of $16.99 and $10.99, respectively. I honestly can't believe how long it's been since I was a little girl, sitting in front of the living room television on a Saturday night, waiting for RUGRATS to air. My sister and I looked forward to new episodes every weekend. This was back in the day when Nick shows like Round House were on, and there were some shows that we weren't even allowed to watch. RUGRATS was on the approved list of shows we could watch, so we definitely enjoyed keeping up with those silly babies and toddlers. I'm having a lot of fun just watching my son enjoy RUGRATS. He can relate to their escapades, and of course, his favorite character is Angelica- she was always one of my favorites, too. Angelica gets a bad rap most of the time, but I think my son is used to seeing a strong female take the lead, so her character resonates with B, and also with me. B is also timid in some ways, much like Chuckie- another favorite character of yours truly! Seasons 3 & 4 of RUGRATS are both a lot of fun. They include many of my favorite episodes of the series. You've got naked Tommy, Reptar, the Dumi Bears, and of course- lots of favorite new and old characters! This show is even more fun now that I am a parent, because the way the parents are portrayed on the show is so relatable. I am those Pickles wives/moms, rolled into one! We're enjoying adding RUGRATS to our home DVD collection. If you're a fan of the show, it's a great way to share a part of your childhood with your kids. Where are my 80's & 90's babies at? Head on over to Nickelodeon to learn more about RUGRATS and find more on Nick.com. Purchase & Pre-order these DVDs in the MBP Amazon Shop. One lucky reader will win their own copy of RUGRATS Season 3 & 4 on DVD. Use the RC entry form below to enter to win. Giveaway is open to US residents, 18+, no PO Boxes. Tommy and Chuckie are my favorites!